When I’m decorating my home for any season or holiday I try to include family photos and sentimental items. It’s warms up my decor and helps personalize it. I’m updating our piano and wanted to add some new photos of my family. I have an abundance of basic black and white frames that go with everything in my home, but I wanted something that stood out more. I chose to make a wood and gold clothespin frame so I can easily change the photo whenever I choose. 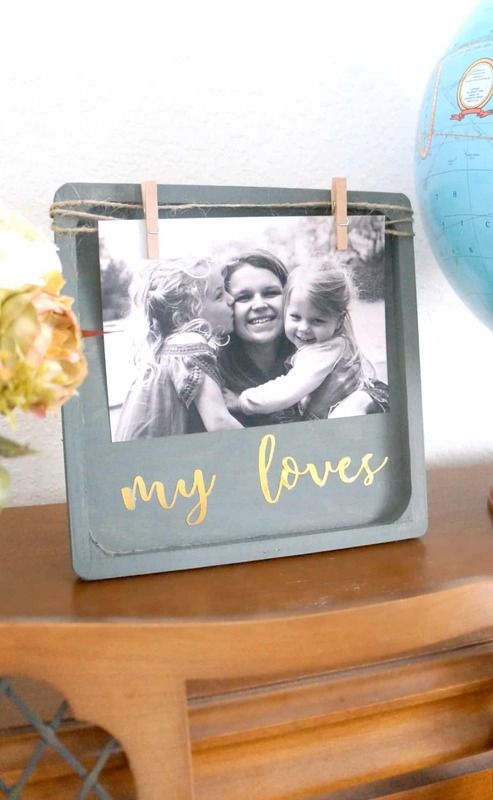 This frame mixes matte gray paint, metallic lettering and rustic twine. It’s easy to make and really pops on the top of the piano. Watch and learn how you can make your own clothespin frame. Here is the full supply list, some of these are affiliate links you can view my full disclosure policy here. 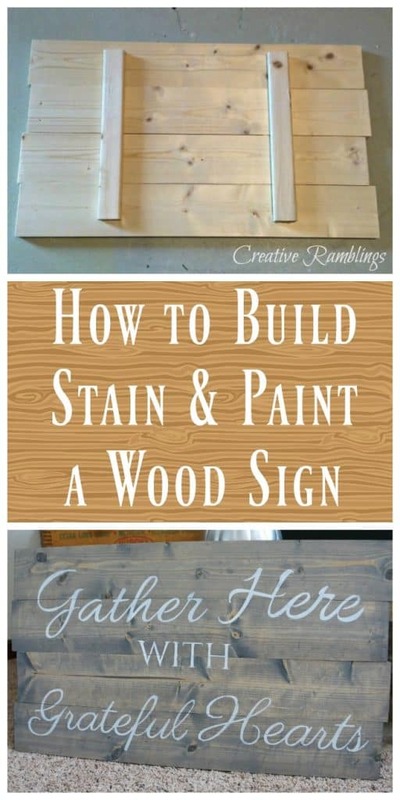 Start by painting the plaque with gray craft paint. 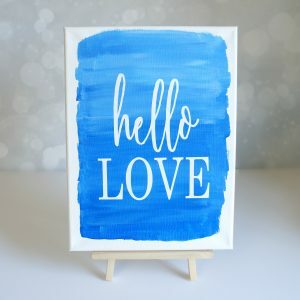 While the paint is drying you can cut the words using your Silhouette and gold foil. This foil is thick and has a strong adhesive back. You could also use vinyl for this step but I had the foil on hand and love the metallic look. I typed “my loves” using a script font and cut it using the foil settings. When the wood plaque was dry I placed the words near the bottom of the plaque. Finally, wrap twine around the top of the plaque, tie it in the back, and clip on two mini clothespins. This clothespin frame holds a 5×7 photo. I love how it looks with a black and white photos of me and my daughters. 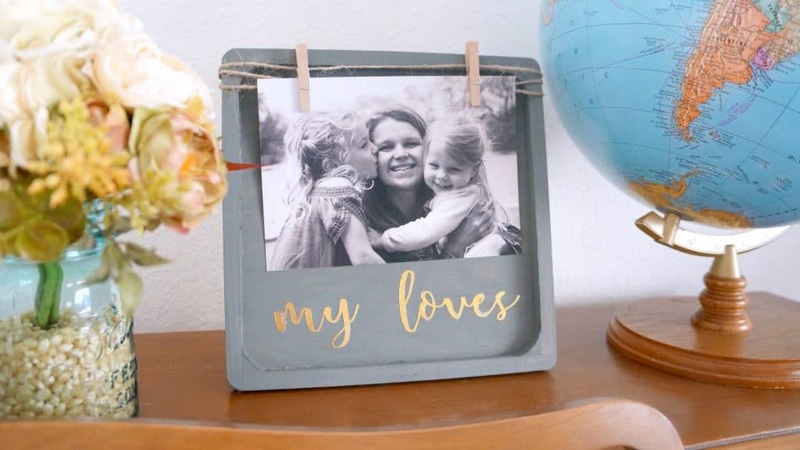 This frame is easy to change, I can snap and print pictures of my girls at any time and add them to this simple gray and gold frame. Where would you display a clothespin frame like this? If you like this post, you are going to love these! This is a fun little frame for the 3 by 5-inch photos. I like its casual fun feel.